I love Jamie’s 15 Minute Meals, not least for the enticing presentation of the recipes. The photographs are fabulous and the food styling innovative. I got the idea for this simple dish from a couple of 15 minute meals recipes: Green Tea Salmon with Coconut Rice and Jamie’s Killer Kedgeree. I made another visit to the hot smoked salmon stall at the Orange Grove Markets in Leichhardt to acquire a chili hot smoked salmon fillet. It would be really easy to just cook a salmon fillet yourself too. 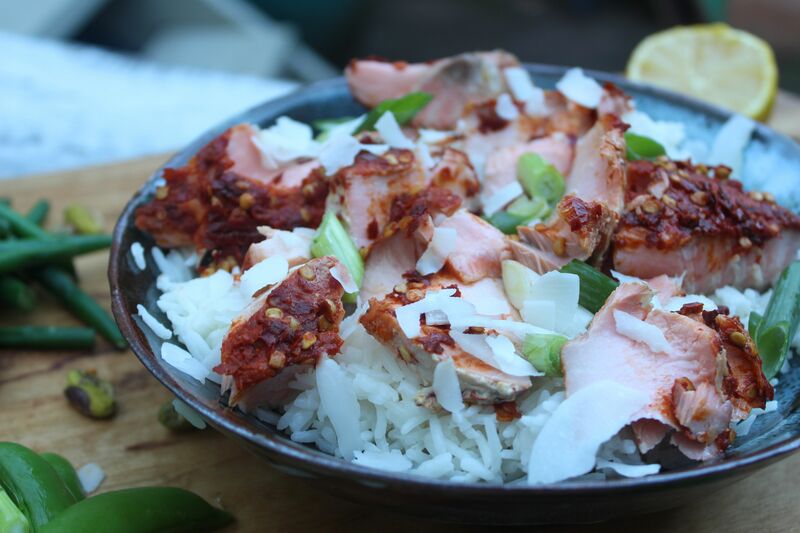 PS The coconut rice is sensational and I’ll be cooking this again! 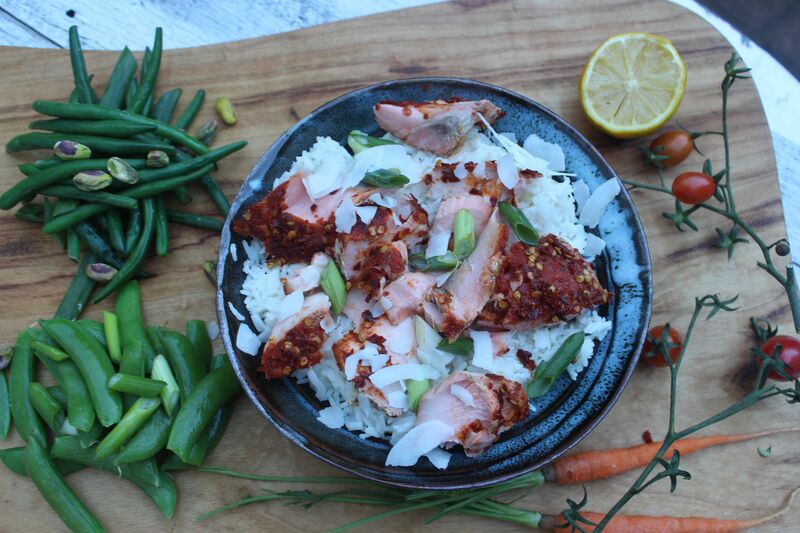 You can serve this salmon and rice dish with any vegetables and garnishes you like, or that takes your fancy.